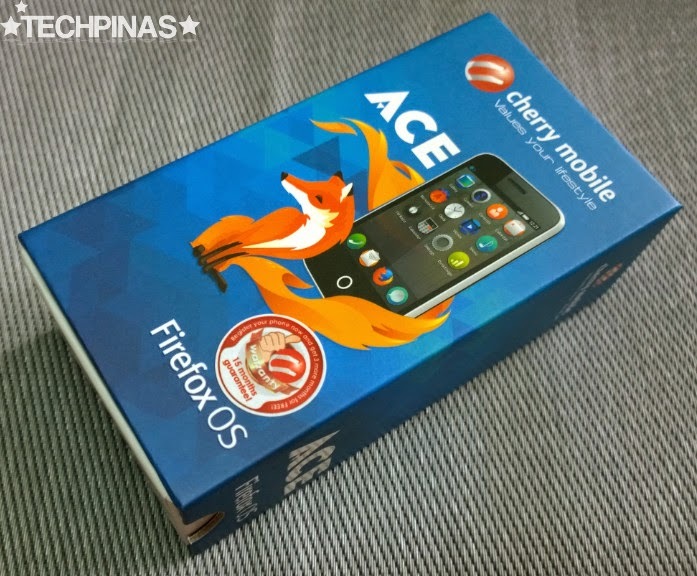 From having a regular suggested retail price of Php 1,499, Cherry Mobile Ace - the first smartphone to run Firefox OS in the whole of Southeast Asia - will don a price tag of only Php 999 or only around $22.5 USD from December 13 to 15, 2014, making it the most affordable full-fledged smartphone anywhere in the world -- at least, during those three days. 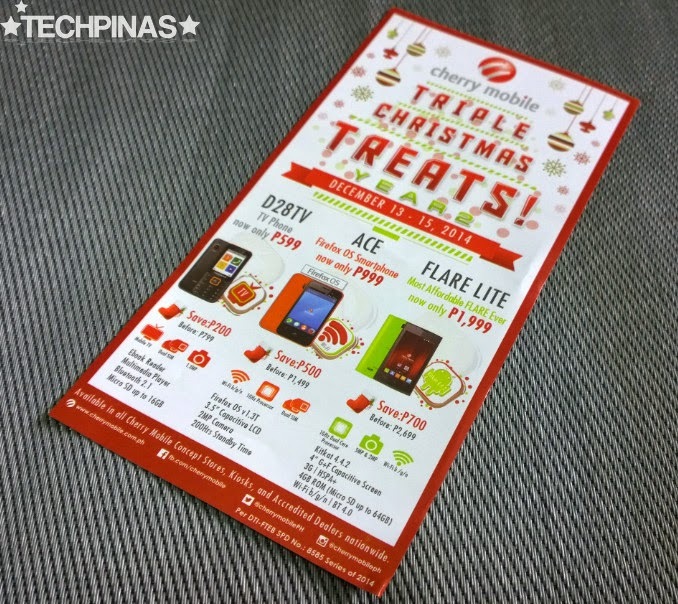 Kudos to Cherry Mobile, really. Thumbs up! “Over the years, Cherry Mobile has strived to stay true to its vision of valuing one’s lifestyle,” shared Mr. Maynard Ngu, Cherry Mobile CEO. "We acknowledge each individual’s preferences, hence, the need for us to be dynamic and versatile." "Today, as we partner with Mozilla, we are able to continue our mission of providing Filipinos with quality products that suit their wants and needs. 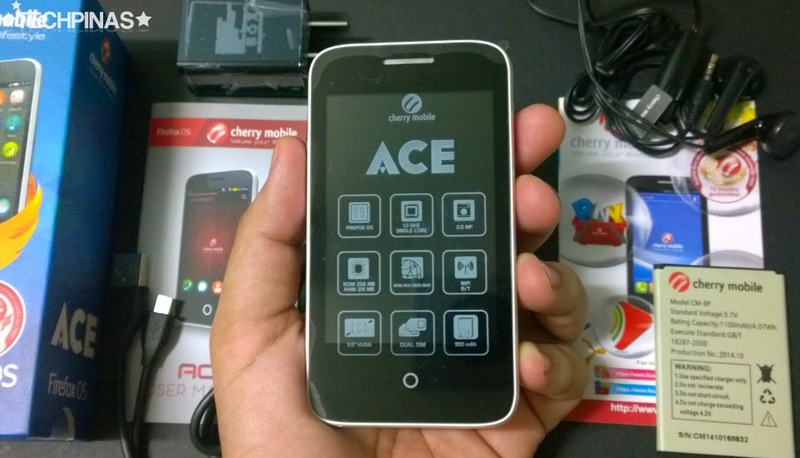 We are happy to announce the availability of Cherry Mobile ACE, our first smartphone running on Firefox OS," he added. 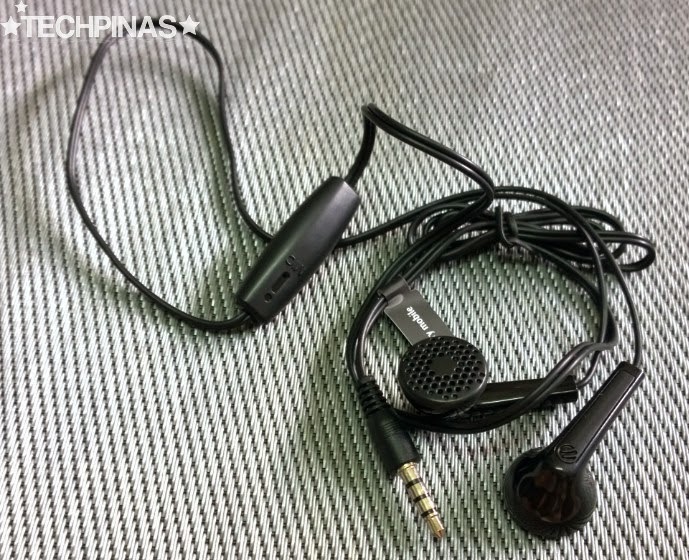 Inside the standard Php 999 Cherry Mobile Ace retail package shown in the first two photos above, you will find the unit itself joined by the travel charger, microUSB cable, earphones with microphone for making calls, and the user manual. According to Mozilla, Firefox OS is the first mobile platform that's built entirely to open Web standards, with all of its features developed as an HTML5 application. Its flexibility, scalability and powerful customization support empower users, developers and industry partners to create more engaging and rewarding mobile experiences. 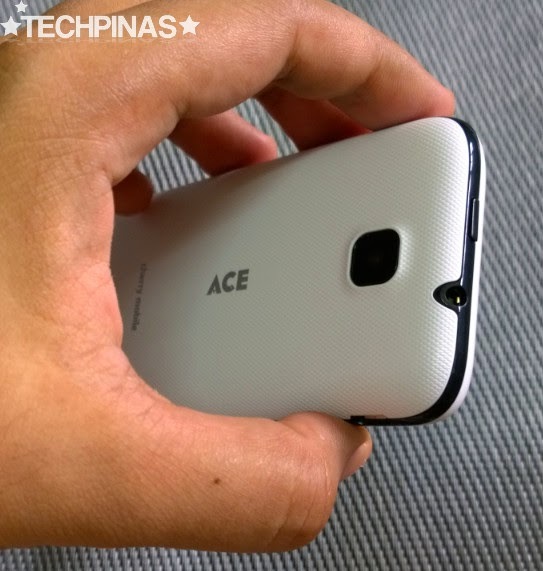 Last Wednesday - December 10, 2014, Cherry Mobile introduced Ace to Pinoy bloggers via a very intimate gathering held at Lucky Rainbow Restaurant in Makati City. After the event, I had a conversation with Mr. Bob Reyes - Contributing Developer and Lead Localizer at Mozilla Firefox Project here in the Philippines - and he told me that one of the best things about Firefox OS - compared to Android and iOS - is that it gives developers greater freedom in working on their applications and monetizing their work. "[You don't have to pay anything to Mozilla if you're creating an app for Firefox OS. You can also monetize it anyway you like]," he shared. 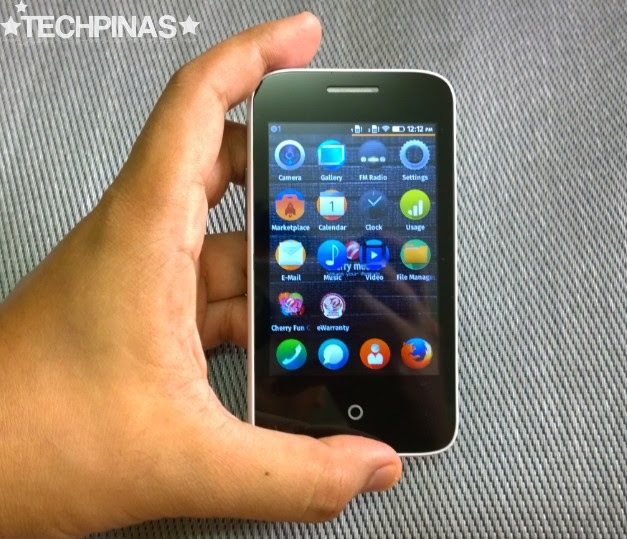 “We are proud to see the ACE Firefox OS smartphone of Cherry Mobile launched in the Philippines. With support from such a strong partner, Firefox OS will continue growing in Asia," said Dr. Li Gong, President of Mozilla. "Firefox OS smartphones in the ultra-low-cost category are redefining the entry-level smartphone and as a result more and more people can enjoy the power of the Web at an affordable cost." 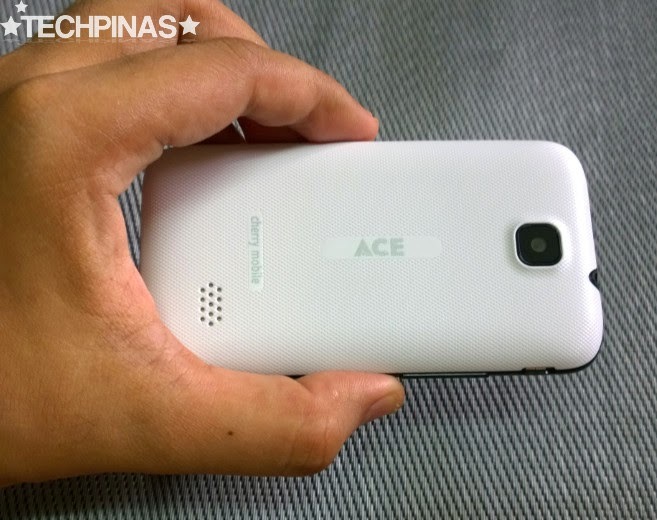 In terms of features, Cherry Mobile Ace sports a 3.5-inch HVGA TFT display, 2 MegaPixel fixed focus main camera, and a 1,100 mAh battery pack. Inside its durable shell, the handset runs Firefox OS with its 1 GHz Single Core processor, handles multitasking with 256 MB of RAM and 128 MB of ROM. 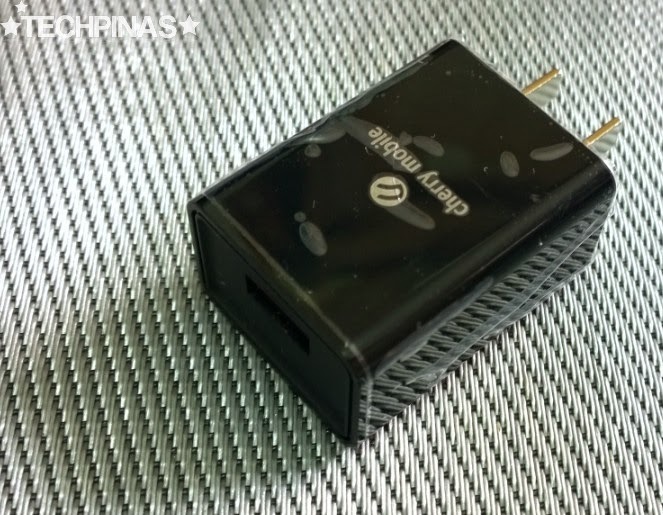 Note that you'd have to install a microSD card first to expand storage before you can start taking photos using the phone. 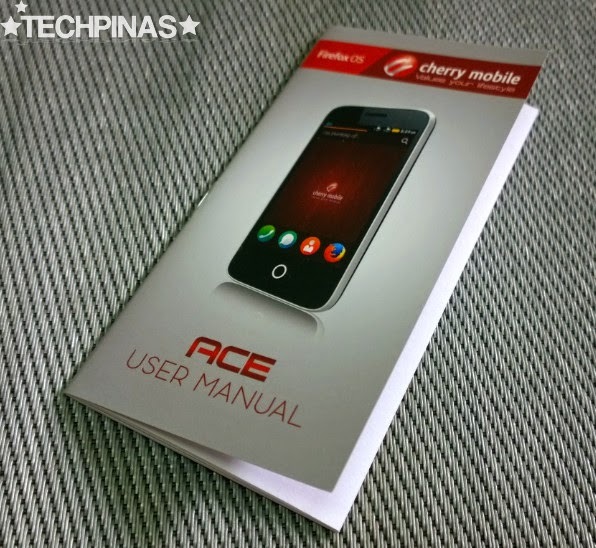 You can get Cherry Mobile Ace for Php 999 at all CM Concept Stores, kiosks, and partner retailers nationwide only from December 13 to 15, 2014. Hopefully, CM would extend the promo until January 2015. But right now, they're sticking to those dates. So am I recommending this phone? 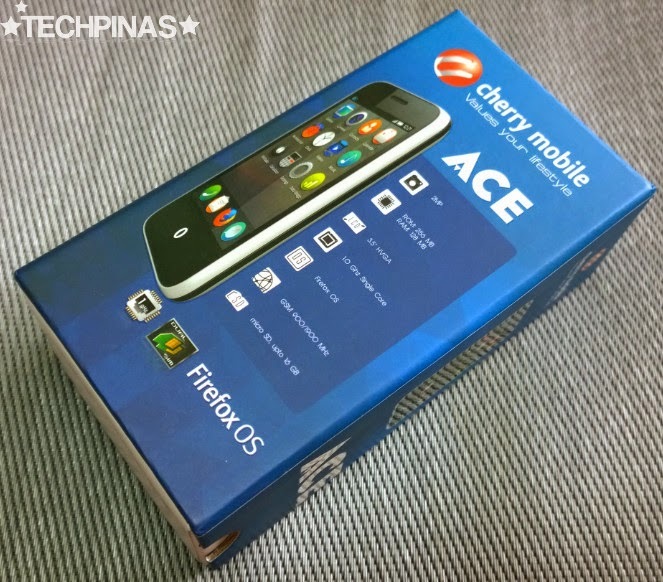 As I've shared on my Facebook account, Cherry Mobile Ace is by no means a powerhouse device so you'd do well to temper your expectations. 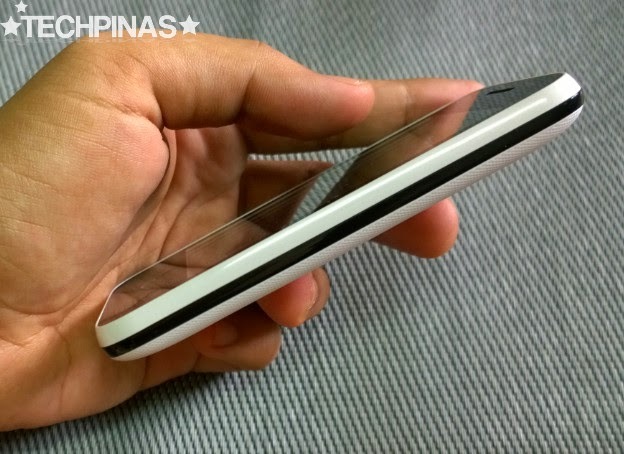 It's a basic touchscreen smartphone but it gets the job done -- if you're patient with it. As for available applications, they're not as plenty as the ones for Android but the essentials - including Facebook, Twitter, and Line - are there. You'll also find a handful of games like Cut The Rope, Sudoku, and Candy Rain 2, which is similar to Candy Crush Saga. Needless to say, Ace has a number of limitations -- but there are two things I particularly love about this release. 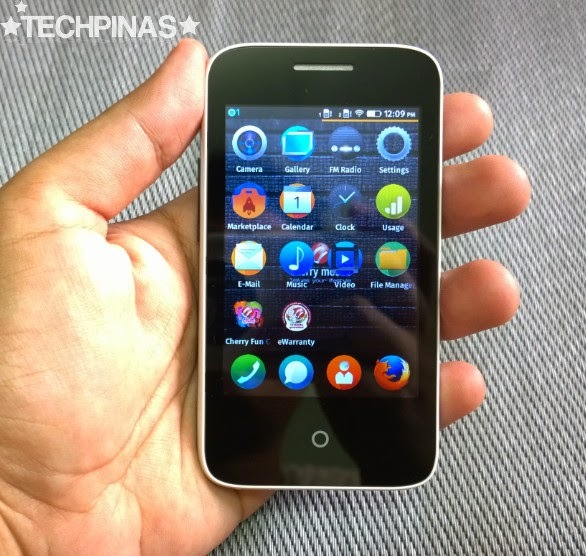 First, its Firefox OS is truly a breath of fresh air in a mobile landscape currently being ruled by Android. The interface is simple, intuitive, and easy-to-use. Heck, some of its sections like the svelte multitasking panel (reminiscent of HTC Sense) and the drop-down notifications tab (with the control buttons placed at the bottom for easier access as opposed to on top like what's on vanilla Android) look so good that they had me wishing that my basic Android smartphones also came with them. Second, the handset looks and feels very durable; It's built like a tank and it can obviously just brush off the knocks and bumps of daily use. 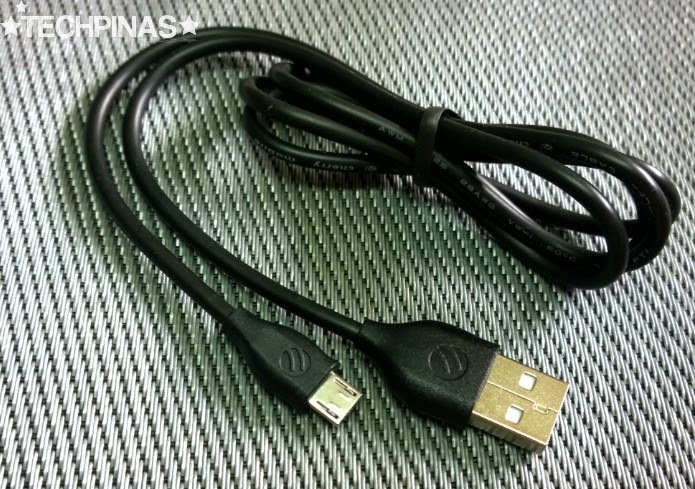 These days, there are not too many gadgets out there offering something different that cost less than Php 1,000. 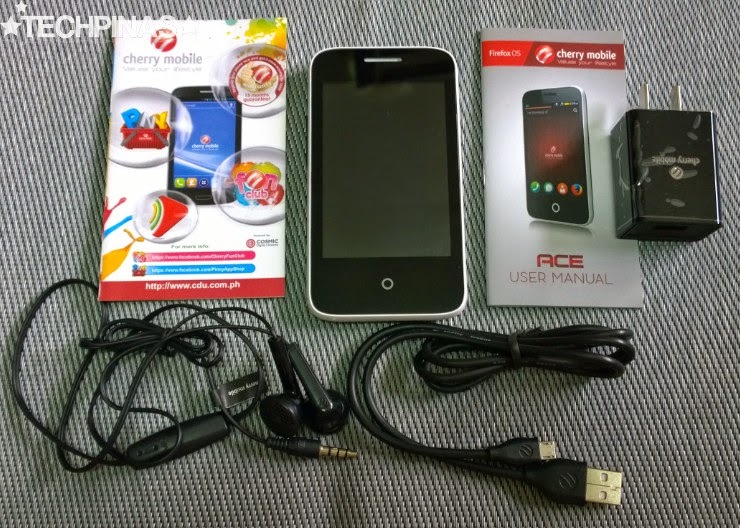 Cherry Mobile Ace may not be for everyone but I'd imagine that it's great for geeks and 'techy' consumers who want to try out something fresh and unique without having to break the bank. And even for casual users (who may be clueless about OSes), this handset - with its capacitive touchscreen, Dual SIM Dual Standby capability, Firefox browser, social media apps, FM Radio, MP3 player, camera, and other smartphone features - is an absolute steal at just Php 999.